Beautiful location by the lake “Lagarfljót"
Gistihúsið – Lake Hotel Egilsstadir is an established and renowned, family run, hotel in a farming district. It meets all modern requirements as to standards of services and amenities, quality, sophistication and comfort. Yet it faithfully maintains its ethnic origins as the hotel was founded in 1903 which provides its unique atmosphere. Guests can choose between residing in rooms decorated in a romantic style with antiques in the older part of the hotel or ones furnished in a contemporary stylish way located in the more recent part. 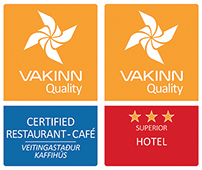 The hotel’s restaurant, Eldhúsið – Restaurant, has gained favorable recognition for its devotion to ambitious cooking. The courses on the menu stem from sound, traditional cuisine but served in contemporary style. Ingredients are always first rate, preferably organic and local as its policy is to introduce and cook from products grown in in the local district. The kitchens pride is a three course meal Farm Food Direct. An intriguing spa, Baðhúsið – Spa, is situated on the hotels ground floor. It has a hot tub, sauna, cold pool and a inside and out doors resting areas. The view across Lagarfljót from the location of the spa is unique. The main emphasis is on quiet, relaxing and refreshing surroundings. Gistihúsið – Lake Hotel Egilsstadir is built on the river banks of the great and beautiful Lagarfljót by the town of Egilsstaðir and is as such centrally situated in East-Iceland. 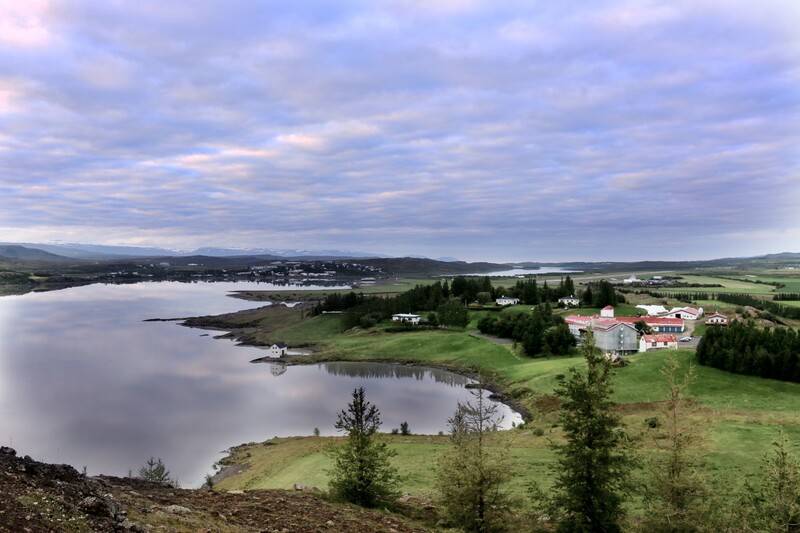 It is comfortably located for transport via air or by land, only a stone throw away from main route 1 and Egilsstaðir airport. The flight from Egilsstadir airport to Reykjavík takes approximately one hour. It is ideal as a central point for traveling in East–Iceland, up to the heaths and mountains or down to the fjords. A variety of enjoyable recreational opportunities can be found in the district. Gistihúsið – Lake Hotel Egilsstadir is a prominent hotel with all modern amenities while its atmosphere is very warm and welcoming. Gistihúsið – Lake Hotel Egilsstadir is a part of Icelandic Farm Holidays. The number of employees is about forty, a select group who makes the comfort of our guests their priority. Please feel welcome to enjoy the hospitality and comforts of the beautiful surroundings by Lagarfljót.